Terry Link is president of Starting Now LLC, a sustainability consulting firm that helps small business, nonprofits, schools, and government agencies improve their social, environmental and economic performance. Previously he was executive director of the Greater Lansing Food Bank, a regional charity that rescued food and developed community gardens to help feed those in need. Before that he was director of Michigan State University’s Office of Campus Sustainability, an office he started in 2000. For nearly 25 years he was an academic librarian focusing on public policy and environmental studies. In 1988 he was named a “Library Superstar” by College and Research Libraries, the journal of the Association of College and Research Libraries. He was also elected county commissioner for Clinton County, where he initiated a Green Government Initiative, oversaw the county’s greenhouse gas inventory and chaired the Solid Waste Council and Physical Resources Committee. 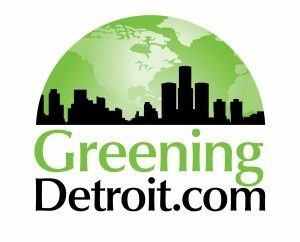 He also served on the Michigan DEQ’s Environmental Advisory Council. He has served on the boards of numerous non-profit organizations and written and spoken widely on public policy, sustainability, information, environment, food, and education, including serving as associate editor of the 2014 encyclopedia, Achieving Sustainability: Visions, Principles and Practices (Gale/Cengage). 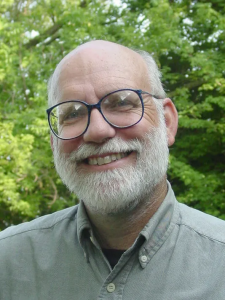 He currently serves as board chair for the Peace Education Center and serves on the boards of the Greater Lansing United Nations Association, U.S. Partnership for Education for Sustainable Development, and the Greater Laingsburg Recyclers. He blogs occasionally on alternatives to the status quo at http://possibilitator.blogspot.com . Sustainable Resolutions Celebration a Success!